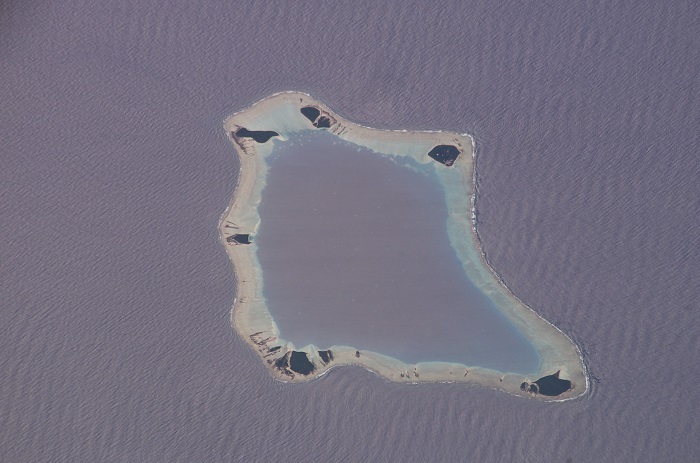 Palmerston Island is a small coral atoll that is located in the South Pacific Ocean, and it is part of the self-governing island country in free association with New Zealand, the Cook Islands. 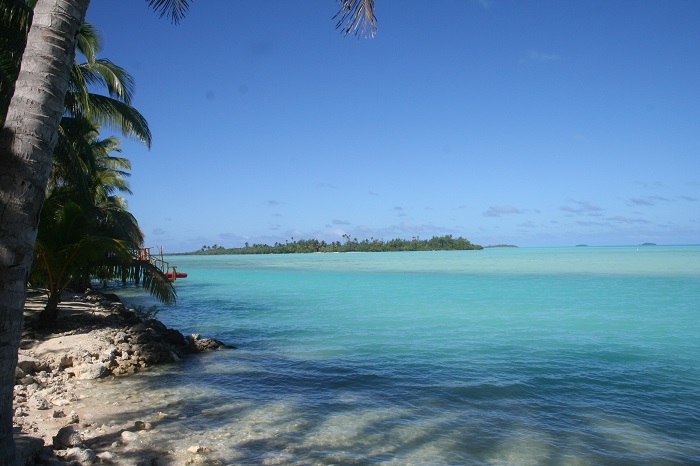 Even though the islands are called the Cook Islands, Palmerston is the only one on which Captain Cook ever set foot himself. 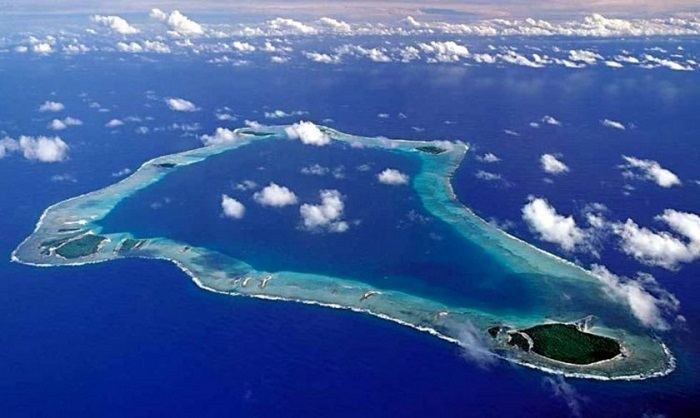 At first, Captain Cook discovered this beautiful atoll in 1774, however, he set foot on it on 13 April 1777, where he found it to be uninhabited with some traces of ancient graves. 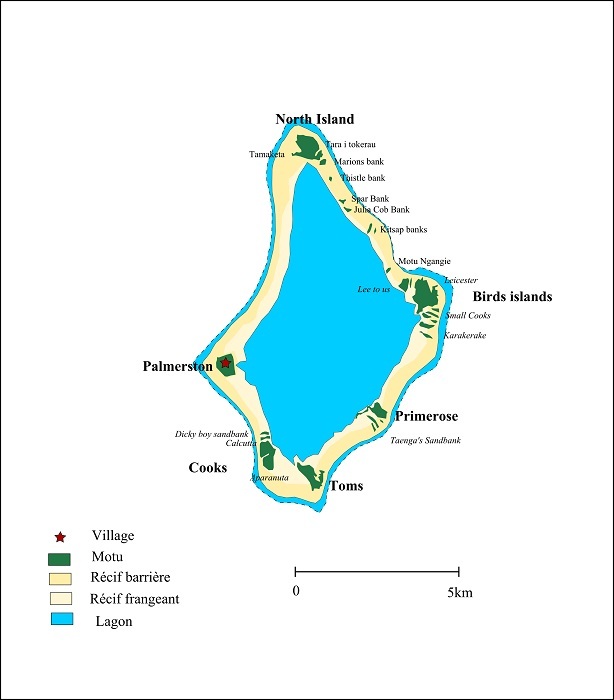 Today, the Palmerston Island is comprised of a number of sandy islets on a continuous ring of coral reef enclosing a lagoon, and the largest of the islets are Palmerston, North Island, Lee To Us, Leicester, Primrose, Toms, and Cooks. 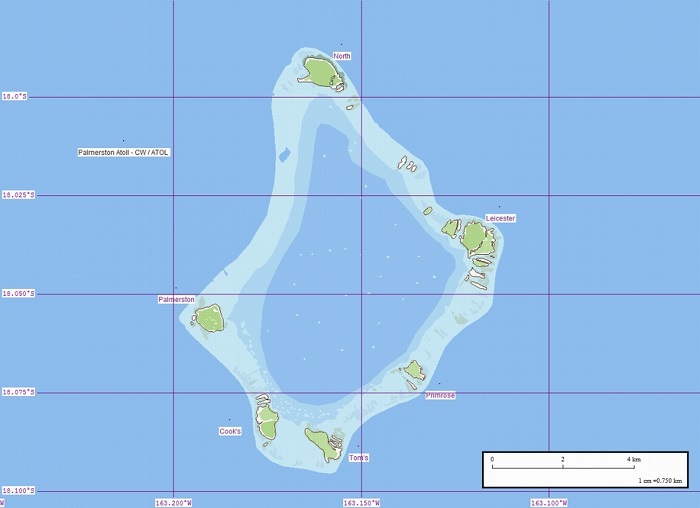 Named after Lord Palmerston who was First Lord of the British Admiralty and father of a future British Prime Minister, it is believed that the first inhabitants of the atoll named it Avarau, which means 200 Harbours. 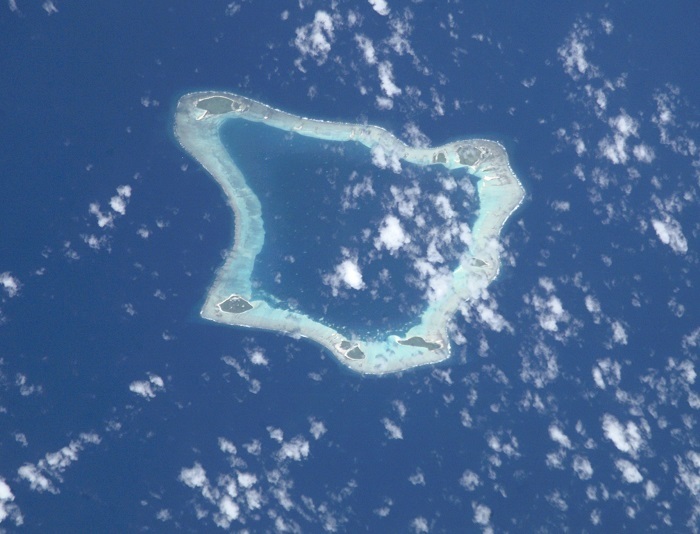 The highest point of the island is some 4 meters (13 feet) above the sea, and the land near the reef is infertile, but there are typical atoll tree crops of coconut and pandamus. 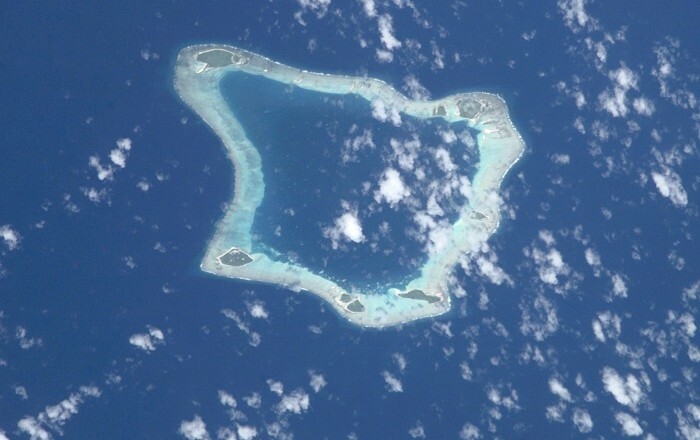 The total land area is estimated to be almost 3 square km (1 square mi), while the lagoon between the islets is around 11 km (7 mi) across, covering an area of 56 square km (22 square mi), and there are several small passages through the reef for boats, though there is no safe entry for large ships. 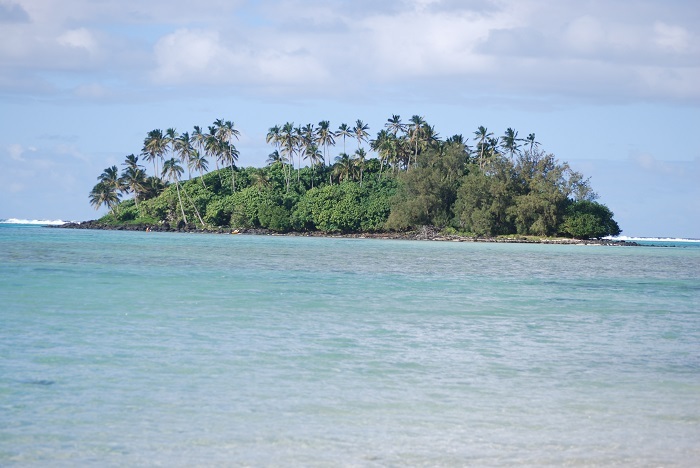 A very interesting fact is that all of the islanders are descended from one Englishman, William Marsters, who arrived from other Cook Island, Manuae, accompanyed by three Polynesian women. It is unclear how many wives he had after the abandonment of his first wife and two children in the UK. Still, being one of the most isolated islands and community in the world, the inhabitants’ economy is based mostly on fishing, tourism, copra, and bird feathers, though Palmerston’s extreme remoteness makes a cash market difficult to maintain. Nonetheless, their life is being improved, as of 2015 they are no longer dependent from the generator that was producing electricity, as the island came into the 21st century with a round the clock power supply for the first time. A solar power station was switched on, replacing the diesel generator on which the islanders have depended for decades, and they will no longer continue to wait for the fuel that was brought to them a couple of times in an year, usually from New Zealand. Definitely one of the last not so spoiled paradises on the planet, Palmerston Island shall continue to battle with the growing ocean, with hope that the whole atoll will survive and be well known around the world for the people to be inspired and visit it.